This week, the Obamas received no ordinary honor with the unveiling of their newly commissioned portraits at the Smithsonian's National Portrait Gallery. 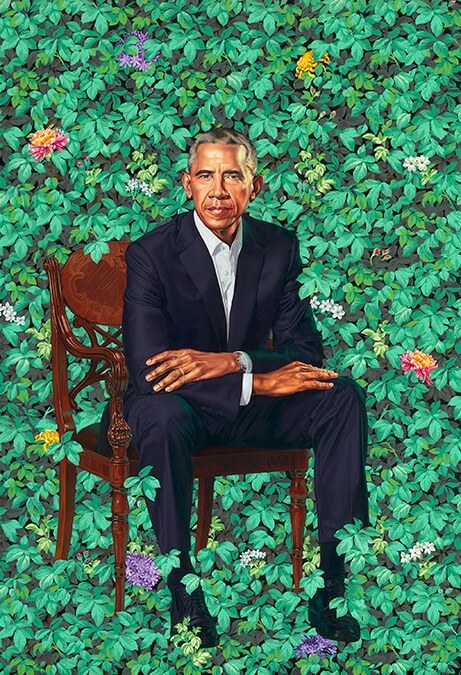 The official portrait of Barack Obama was created by artist Kehinde Wiley, known for his depictions of hip hop luminaries such as The Notorious B.I.G., Ice-T, and LL Cool J.
Barack Obama by Kehinde Wiley. Michelle LaVaughn Robinson Obama by Amy Sherald. 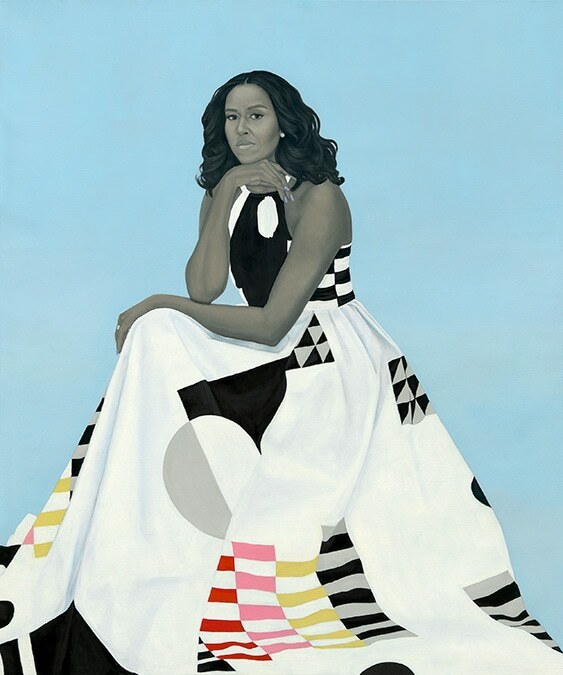 Michelle Obama's portrait, painted by Amy Sherald, depicts a cool and collected first lady in a mostly black-and-white couture gown. The former president's portrait will remain as a permanent fixture in the museum as part of the "America's Presdents" exhibit, while the former first lady's portrait will be displayed through early November in the "Recent Acquisitions" hall. Each portrait was created by an African American artist, and marks the first time the museum has tapped an African American artist to create a portrait of the president and first lady.